What are the investment banks doing? Buying property. The big money is already out in the market hunting for bargains. Is this downturn going to be shorter and shallower than we think? One of the interesting features of the American property crash in the GFC, was that it was institutional money that lead the way after the bottom had been reached. Massive Hedge Funds like Blackrock started gobbling up property near the bottom, creating something the market had never really seen before – institutional landlords. The big money wasn’t really interested in being a landlord as such, but they knew a bargain when they saw one, and at the peak of the GFC, US property was a massive bargain. But surprise, surprise, I didn’t have to wait long. I was amazed to learn that barely a few months into the current downturn, institutional money has already started opening up their wallets, and gobbling up properties aggressively. Former Macquarie banker Andrew Hooper-Nguyen and his business ­partner, the co-founder of ASX-listed Excel Coal, Chris Ellis, have made a bulk purchase of brand new apartments at Rich Lister Tim Gurner’s FV tower in Brisbane where there have already been discounts of up to 24 per cent on sales made four years ago. FV, a three-tower project in Fortitude Valley on the Brisbane city fringe, was arguably Mr Gurner’s most ambitious and riskiest project. 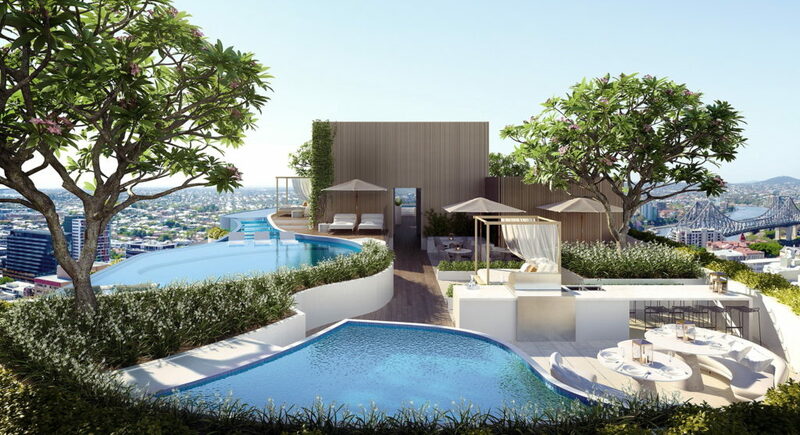 … Last month The Australian Financial Review reported that billionaire pokies king Len Ainsworth had swooped on a collection of newly-built Brisbane apartments by as Metro Property for a discount of about 15 per cent off their original price. …Mr Hooper-Nguyen, who also purchased other apartments in the project through another four separate vehicles, declined to comment on the purchases. However he said the inner-Brisbane apartment market represented a “once-in-a-decade opportunity” for value investors. “Market weakness has been caused by over-supply, and to a large degree, regulatory measures which have artificially dampened lending to investors and foreigners,” Mr Hooper-Nguyen told the Financial Review. “However, the over-supply is working itself out far quicker than most observers had expected due to a strengthening Queensland economy, strong net migration and record price differentials with Sydney and Melbourne unit prices. …He said there was still strong rental demand – especially for high-quality developments – with yields roughly double those of Sydney. He also said the Fortitude Valley – where Mr Gurner’s FV tower is located, was coming of age. To be clear, that figure of a 24% discount seems to have come from just one property – and that was a foreign buyer who couldn’t get finance and had to sell in a rush. So it’s misleading to suggest that it’s widespread. But it’s that kind of fear-mongering that creates opportunities like this. What Hooper-Nguyen points to is spot on – this is an artificial slow down, in the sense that it was brought on by APRA restrictions and government regulation. At the fundamental level, the market remains tightly balanced (perhaps they read my article on Brisbane from a few months ago?) and rental demand is strong. So you know, I thought we might see the big money hold out on the sidelines for a little while longer – to give the correction more room to run. But what this suggests to me is that these guys think this might be about as bad as it gets. In their view, there’s a lot more upside than downside from here.